FASHION POWER is designed to be easy for you to use. Its failsafe technology lets you focus on listening while the hearing aid does the rest. But doesn’t all that power use a lot of batteries? Actually, no! 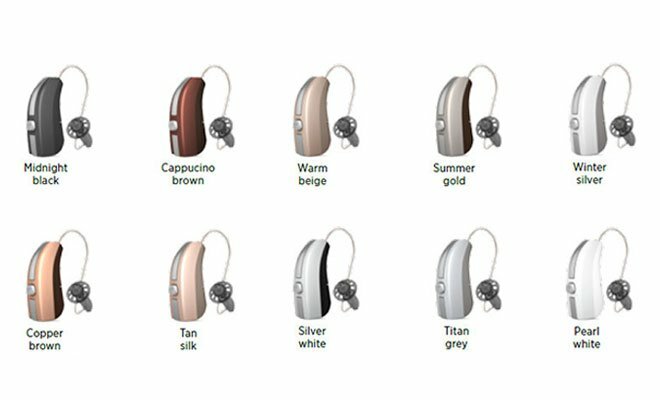 FASHION POWER has a special feature called PowerSaver that lets you enjoy your hearing aid for longer periods of time without changing the batteries. WITH THE NEW WIDEX BEYOND™ HEARING AID, CONNECTED HEARING NEVER SOUNDED BETTER. THE CUSTOMIZABLE BEYOND™ APP FOR IPHONE AND ANDROID LETS YOU DESIGN YOUR OWN HEARING, AND IT OFFERS YOU CONNECTIVITY ANYWHERE AND ANYTIME. THE WIDEX UNIQUE HEARING AID PUSHES BACK THE BARRIERS OF WHAT YOU CAN HEAR WITH A HEARING AID. LOUDER AND SOFTER SOUNDS. MORE CONVERSATION. IN FACT, ALL THE IMPORTANT SOUND DETAILS AROUND YOU. Widex UNIQUE lets your hear more sounds, no matter where you are, or what you’re doing. One of the world’s smallest behind-ear hearing aids, UNIQUE PASSION is the ultimate in discretion and elegance. It is virtually invisible. Share the page and maybe someone you know could benefit.